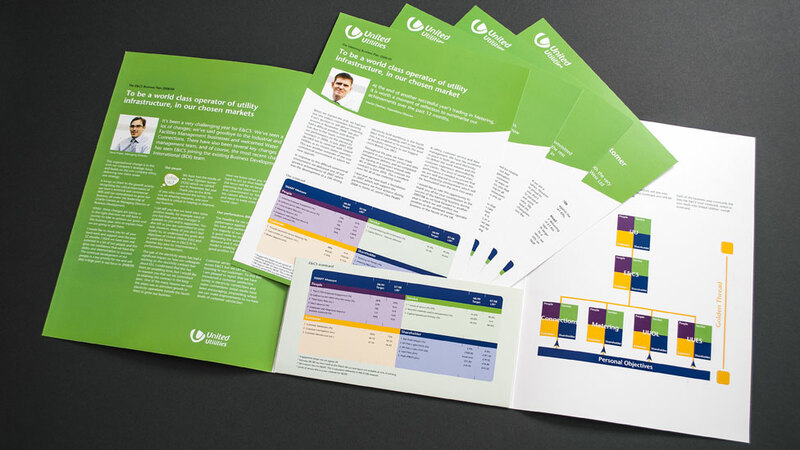 United Utilities had been working extensively on their business plan and required a corporate folder and inserts with a central pocket to hold a number of data sheets to use as an employee communications pack. 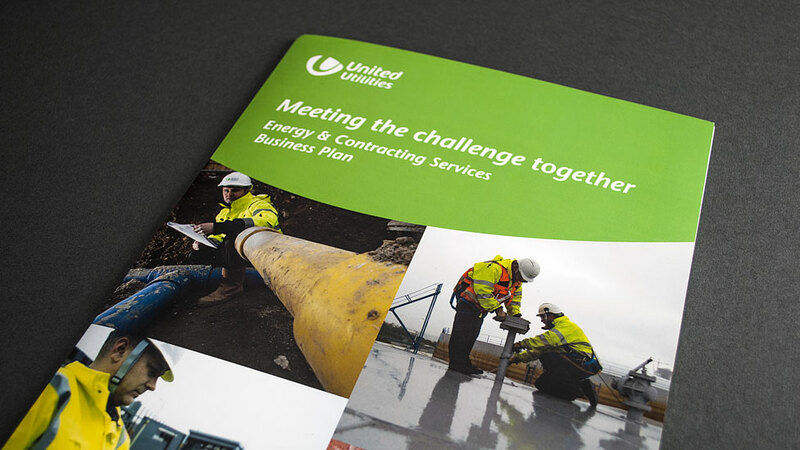 Working within the United Utilities brand guidelines we developed the corporate folder and inserts to sit comfortably in their current library of literature. The colourful and diagrams and charts clearly showing the various statistics that goals required by the company.